Back in 2015, the Ferrari 488 GTB made its debut at the Geneva Motor Show – stepping in as a worthy replacement for the classic 458 Italia. A lot has happened since then: Trump became president, the UK voted to leave the EU, and now – less controversially – the new Ferrari F8 Tributo has been revealed as the replacement for the 488 GTB. The GTB impressed across the board, but it has now paid its dues and its successor – the Ferrari F8 Tributo – is faster, more powerful, and has an increased aerodynamic efficiency. The stunning F8 Tributo packs Ferrari’s most powerful V8 ever created, contrary to predictions by some enthusiasts that suggested it would be a hybrid. Ferrari bosses are also claiming that the F8 is the first of a ‘new design language’, which the legendary manufacturer hopes will epitomise the aerodynamic brilliance and extreme performance that they seek. At first glance, this new supercar seems the ultimate package – so perhaps the McLaren 720S has a genuine rival on its hands? Ferrari claim that the F8 Tributo is one of the fastest, most thrilling, and most communicative supercars ever – a pretty bold statement to make. But it’s not an outrageous one; the F8 is certainly there or thereabouts, and its performance figures only help justify Ferrari’s belief in the newest member of its family. The F8 has the same twin-turbo 3.9-litre V8 that powered the 488 Pista, which happens to have won three consecutive International Engine of the Year Awards and was named the best engine of the last 20 years in 2018. 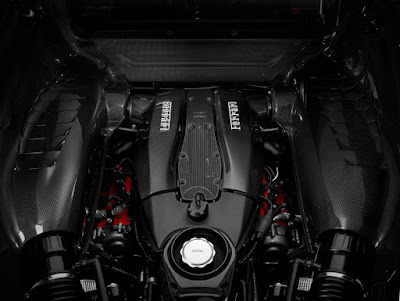 Officially listed as the most powerful V8 engine ever created by the company, the F8 Tributo’s engine is a serious piece of kit. It generates 710bhp (matching the 720S) and 568lb-ft of torque, performing just as well as the hard-core Pista and improving on that of its predecessor – the 488 GTB – by 50bhp and 7lb-ft. Some experts have hinted at the possibility of the F8 Tributo being the end of an era – with Ferrari pledging to push the development of the hybridisation and electrification of their vehicles. How Fast is the Ferrari F8 Tributo? 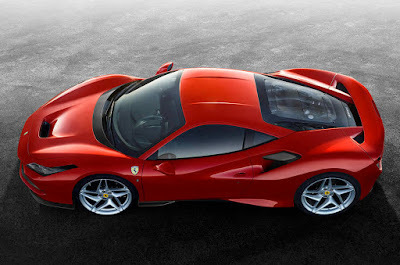 Ferrari wants to create an enthralling driving experience for its customers, and it does so here with the F8 Tributo reaching 0-62mph in just 2.9 seconds – 0.1s less than the 488 GTB – and setting a 0-124mph time of just 7.8 seconds. The F8 Tributo’s top speed also matches the Pista, maxing out at an impressive 211mph, increasing by 6mph in comparison to the 488 GTB. That’s a faster top speed than the McLaren 600LT, the Huracán Evo and even the McLaren Senna! Ferrari claims that this level of performance is achieved with absolutely no turbo lag – a feature we’re sure its lucky drivers will appreciate. Not only is Ferrari’s latest model more powerful than the supercar it’s succeeding, but it’s also far lighter – weighing in at just 2,932lbs with all lightweight options included, cutting around 88lbs in total. 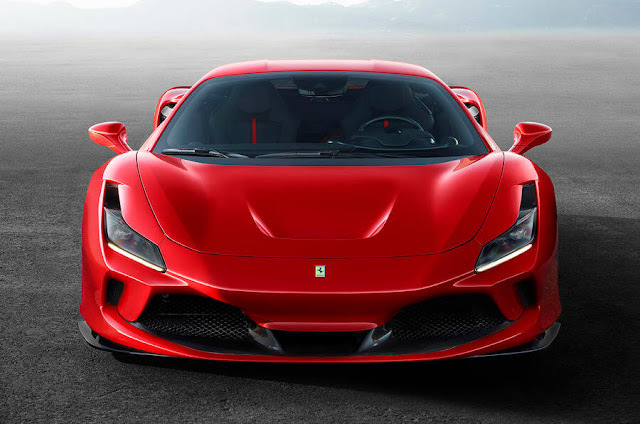 The Ferrari F8 Tributo’s body has been restyled and includes a new aero pack – developing features of various past models to generate state-of-the-art aero solutions which give this new F8 a boost of over 10% in terms of its aerodynamic efficiency compared to the 488 GTB. The redesigned front S-Duct derives from the Ferrari F1 and works to produce an efficient vertical load at a rate that adds 15% to the downforce of the regular 488. There is also a new air intake layout, deriving from the 488 Challenge, which supports the increase in power by reducing the temperature of the air that enters the engine. There’s a LOT going on here in terms of the F8 Tributo’s aerodynamics. The body may look sleeker than ever, but almost all of its features serve a genuine purpose as Ferrari’s newly released videos demonstrate. Overall, the F8 Tributo is one of Ferrari’s best looking supercars, especially in the iconic Rosso Scuderia colour that we’ve come to expect from the manufacturer. Although Ferrari clearly had a vision to improve the aerodynamic efficiency of the car, the F8 Tributo sacrifices none of its beauty while doing so. A prominent design feature is the new, slimmer LED headlights, which have decreased in size to make room for brake cooling ducts and improve the airflow around the front. And as you can see, they also look pretty cool. The rear of the F8 is also pleasing on the eye, with a louvered Lexan engine cover added – reminiscent of the iconic F40 – to remove hot air from the bay but also to contribute to the aesthetics of the vehicle. Much of the interior remains unchanged, but there are redesigned elements within the cockpit accommodating round air vents, a new steering wheel design, new controls and a new seven-inch passenger touchscreen display – not that you’ll be able to lean forward to use it while you’re hitting those top speeds. Also, the diameter of the steering wheel has decreased in comparison to the 488 GTB, creating a far sportier feel behind the wheel. 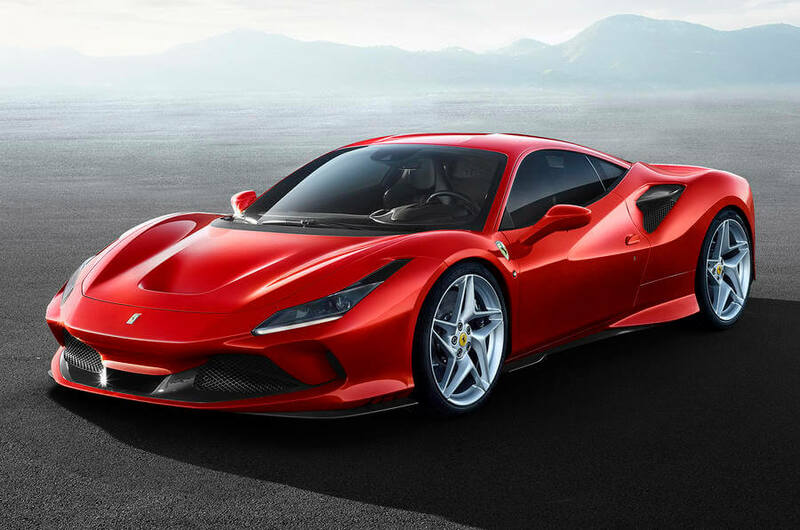 The Ferrari F8 Tributo’s cost has not yet been announced, but it was showcased as a fitting 488 GTB replacement at the Geneva Motor Show in both Rosso Scuderia and Blu Corsa finishes. Ferrari was spotted testing a hybrid model prior to the show, which led to suggestions of a hybrid supercar being revealed – which, as we know, wasn’t the case. 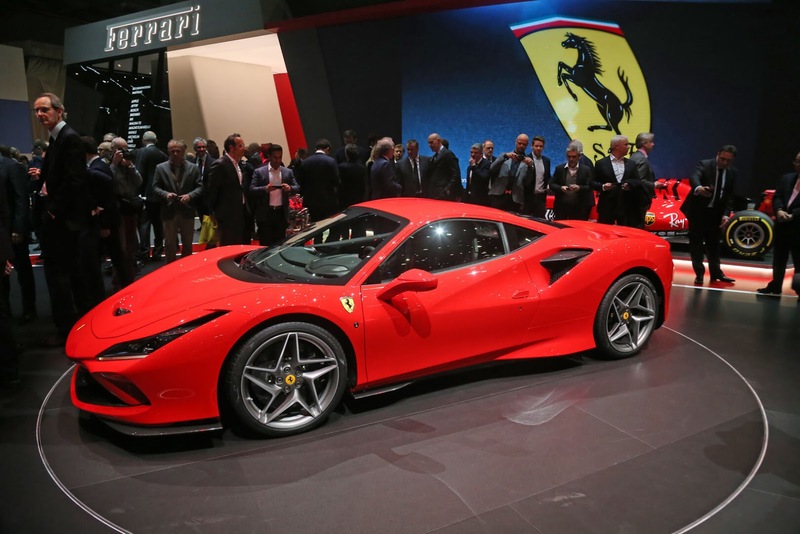 However, Ferrari CEO Louis Calmieri has recently confirmed that a brand new, track-focused hybrid model will arrive in the next two or three months. 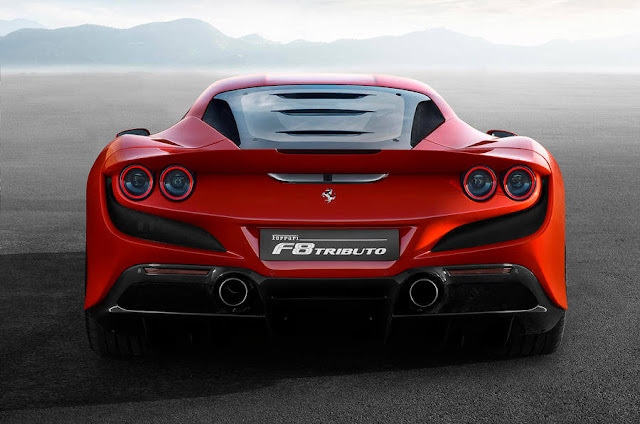 Rather than a brand new car, many see the F8 Tributo as an upgraded 488 GTB, and rightfully so. It may only be a development of its predecessor, but it’s certainly an excellent one at that. For now, at least, let’s appreciate Ferrari’s achievement in producing such a beautiful supercar with admirable performance figures and a vastly improved aerodynamic efficiency. For the latest supercar news and reviews, be sure to stay up to date with our Facebook and Instagram pages!